Technical Divisions is established since the foundation of our company, with the development of process scale and market share, Technology R&D Center was set up in 2010 in order to enhance R&D ability. R&D center consists of drill rig research institution, workover rig research institution, cementing&fracturing equipment research institution, electrical equipment research institution, structural component research institution and integrated manager office. 1. Drill rig research institution is responsible for designing conventional drill rig and drilling equipment. 2. Workover rig research institution is charged with designing trunk mounted drill rig, workover rig and special trunk mounted drill machine. 3. Cementing&fracturing equipment research institution is primarily working for designing operation equipment like cementing, fracturing equipment, etc. 4. 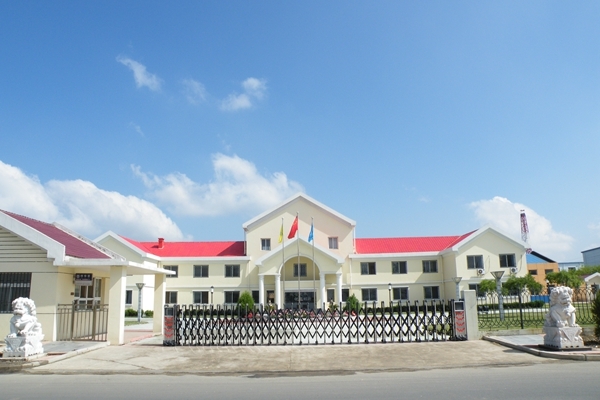 Electrical equipment research institution is mainly handle the design of drill rig and oil field control system. 5. Structural component research institution is primarily for designing drill rig’s structural components. 1. The center have 3 masters, 44 bachelors and 13 senior engineers, who forms a reasonable team of proper ages and strong R&D ability to design and research new product. 2. Technology R&D Center, with an area of 3,000 m2, came into use in 2010. 3. Product research hardware adopts virtual terminal diskless workstation, and all designer share the same design platform, which is convenient to communicate and integrate ideas. In 2010, SAFI 6.5 software is a structure analysis computer software which introduces from SAFI Quality Software Inc in Canada. It is specifically for conventional structure analytical calculation, like stress, strain, wind load, dynamic analysis for structural component. 1. On the basis of product design and manufacture, technology R&D center focus on the drill rig automation&development trend as well as domestic and overseas drilling contractor’s special requirements. 2. In order to adapt different operating environment, on earlier stage, our center respectively develop low temperature drill rig used for arctic regions, desert drill rig used for desert regions and other drill rigs used for extreme environment. 1. The low temperature rail drill rig is designed according to temperature characteristics and geomorphic features of Russia, Arctic region, which improves the automation ability. 2. It makes main engine and all well site facility integrated installing on the rail, which achieves movable drilling under dismounting and installing condition, processing next drilling operation. 3. At the same time, all operating space is equipped with insulation measure to adapting extreme cold. In 2012, Intelligent Drill Equipment under special working condition was listed as Key Project of Science Technology Supporting Program. 1. This machine uses disc brakes instead of belt brakes and other mechanical brakes: adding brake disc on both sides of winch, hydraulic disc brake calipers and control system. 2. It can improve braking efficiency and accuracy to increase the safety performance. 1. Conventional workover rig is with guy wire system at crown block, ground anchors shall be launched for operation of fastening guy line before staring operation. 2. The research center optimize the conventional guy pattern, greatly improving the working efficiency. 3. It adds deviation-proof device on both sides of workover rig and bottom of derrick, making the machine can process operation without guy line. 1. Different from traditional catwalk with pneumatic winch pulling drilling pipe, crane hoisting casing, this new automatic power catwalk is designed with hydraulic remote control system of 5T pulling capacity. 2. All action using a hydraulic pressure pilot control achieves automatic operation and remote control. 3. It can assort with any drill rig, replacing catwalk ramp, which greatly improves work efficiency and exempts on-site operation of large-scale hoisting equipment. 1. Different from traditional workover rig with diesel engine driven, the new rig can operate by using oilfield power grid as main driven power. 2. The workover rig adopts oil field power grid to drive the variable frequency motor, to some extent, which saves diesel energy, reducing pollutant emission and achieving energy-saving emission reduction effect.